Update: I did not complete my 30 before 30 list. Y’all, I was striving so hard to complete this list before turning 30 last weekend. But to what end? Because I promised myself I would complete it? Because I made a public promise to my fellow readers, friends and family? But then I realized, is it worth it to knock things off the list purely for the sake of doing so, and not for the sake of really doing them? I was discussing this recently with a friend and she called it the “girl scout mentality” – we were raised to stick to our commitments and never break them no matter what. But the older I get, the more I kind of think that’s BS. Sometimes you just can’t do it all, and THAT’S OKAY. This same friend also said, I think this is the lesson you were meant to learn from this list. I literally sat speechless and we both literally got goosebumps because it was so evidently true. I then thought back to my #1 resolution for 2019 I had written in my journal several weeks ago: Remove perfection as a goal. Does anyone else need to hear that as much as me? So okay, I’m not perfect and I didn’t complete the list, but that’s okay. As husband said, you just add them to your life list and do them when the time is right. All that to say, I did knock a few more off the list these past few months (and actually ended up crossing off 23/30! ), so here’s a complete update on my 30 before 30. Start a new adventure. I’ve worked for Walmart for 6.5 years, as my first job out of college. I’ve officially accepted a position at Clorox, and couldn’t be more excited/anxious/thrilled to start this new adventure. Make a complex meal 100% from scratch. This one might have been my favorite one to check off the list thus far. I knew the meal I wanted to make was Julia Child’s Boeuf Bourguignon and knew it would be more fun with help from my mom! It actually wasn’t as difficult as we thought it would be, just verryyy time consuming, but TOTALLY WORTH IT. Oh my gosh this was delicious. Hike Pinnacle Mountain + eat a Hubcap burger at Cotham’s. Unfortunately, I didn’t get to eat at Cotham’s since the original location burned down last year. However, I did hike Pinnacle – and it was a doozy! The challenge was worth it, as the views were stunning, and we’re already planning another hike up in the Fall. Successfully do a one-armed push-up. See a critically acclaimed show. This one makes me so happy because I’ve been dying to see Hamilton and Mom got me tickets for my 29th birthday for our trip to Chicago. It was AMAZING. Absolutely go see it if you get the chance. Buy all my friends a round, randomly. I really loved doing this one, and it was the perfect occasion – Thanksgiving Eve at Club Frisco. Play video games with Husband for a night, complete with pizza + beer. This was so fun! We played Mario Kart (he schooled me), tennis (both won) and a fighting game (which we also both won, to Husband’s chagrin). I definitely need to get in Husband’s world and do this more often! Intentionally choose to stay by myself one night in a hotel. Obviously I’ve stayed by myself before, but for work or when husband was away – not intentionally. Learn a song on the guitar. Learn to play blackjack. Nephew Jack taught me this one over Christmas. I learned the basics and now we just need to head to Downstream (or Vegas!) to really play! Make a signature cocktail. Another Christmas check – the most delicious drink with prosecco, vodka and raspberry sorbet aka The Raspberry Millay! Make a YouTube video that gets over 1k views. Start my book. Yay I’ve FINALLY started it, and no I won’t share any details yet! Win at least 1 trivia night. This one was totally out of the blue, but glad it happened the way it did. We won the poolside Hollywood Trivia on our family vacation in Mexico. Go Team Guacamole! Write 30 handwritten letters. This has also been one of my favorite ones to check off the list and I’m planning to set a goal for myself to write letters every year! Go to a movie solo. I went to see Crazy, Rich Asians (which was THE BEST) and it was so liberating to go to a movie solo. I also happened to be the only person in the theater, so it was extra solo! Ha! Ride 300 miles. Maybe this one didn’t take as along as anticipated, but it’s still checked off the list and I’m proud! Dye my hair pink. So this one, I can at least say I tried. I covered my hair (twice!) with pink hair dye from the grocery store to no avail. I’ll try again or just clip some in! Give an amount of money that is significant to me and is significant to someone in need, but do it in such a way no one would ever know it was me who gave it and expect nothing in return. I won’t share details, but this was so rewarding and definitely something we will continue to do, and probably my favorite on the list. Travel to a state I’ve never been to. This one actually happened without me even realizing it. I thought I’d been to North Carolina, but hadn’t – and now I’ve been twice for work this year. Check! Take a personal day, for no reason at all. Challenge myself with a new hobby. I didn’t realize it at first, but this is totally the Peloton! Since I didn’t grow up in sports or really sticking with an exercise routine, riding consistently has been a huge challenge for me and totally feels like a new hobby! We even chose to ride while on vacation – something I never thought I’d do, ha! See someone in concert I’ve been dying to see. Taylor Swift – check. Taking Back Sunday (our favorite band from high school) – check AND Beyonce/Jay-Z coming up next month. I think I can officially check this one off the list. Find an artist whose perspective of the world I appreciate and buy a piece of his or her work. Take a spontaneous trip. 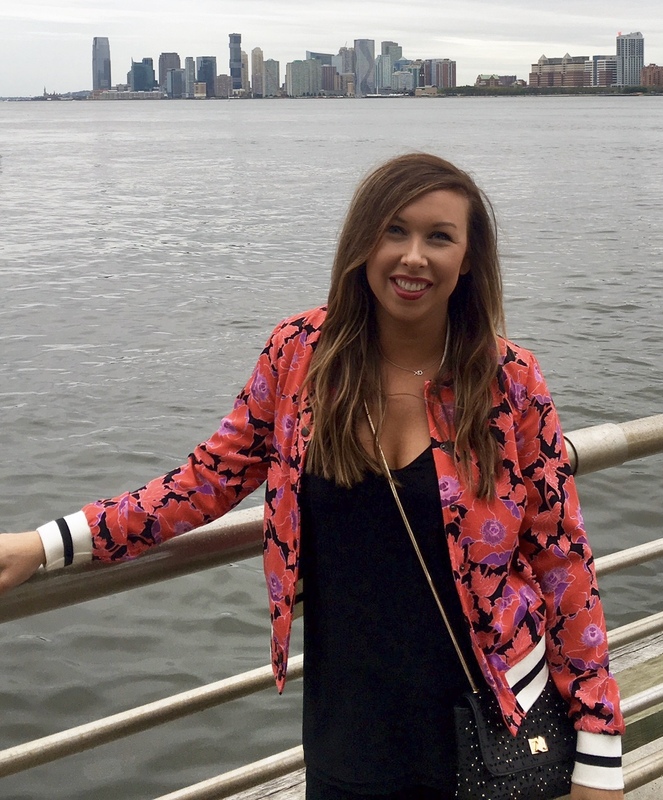 Someone could probably fight me on this, but it’s my blog so I’ll do what I want – our NYC trip was totally spontaneous for me. No, it wasn’t a pick-up-and-go trip, but our friend Mark called, said he was having his 30th birthday party in NYC and did we want to go? I never turn down a trip to New York, so we said yes, but not planning something like that several months out is my kind of spontaneity!! Plan a huge 30th birthday bash. Here’s to 30 more years! This entry was posted on January 28, 2019 by milledavis. It was filed under Life and was tagged with 30 before 30, 30th birthday, life, resolutions. I love your 30 Update better than your 30 List! !